Download MasterSeeker now, and discover how it's easy to search files and directories by name, by size, inside specific directory, using wildcards! 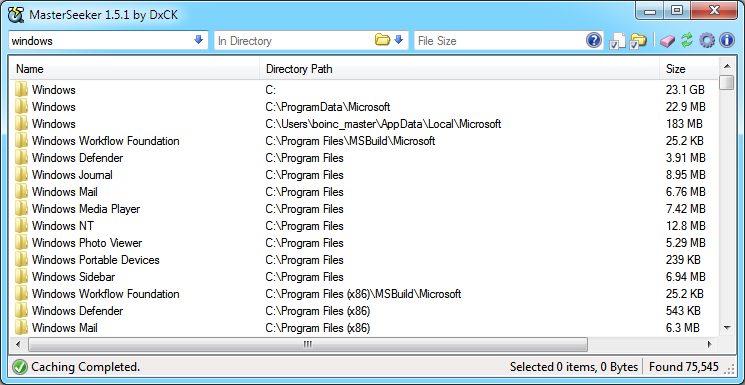 Sort files and directories by any column rapidly! View and sort by size of any directory without waiting! It took months of research and development to bring you this quality free software. Support us!